Concrete is mostly known as a masculine and tough building material. 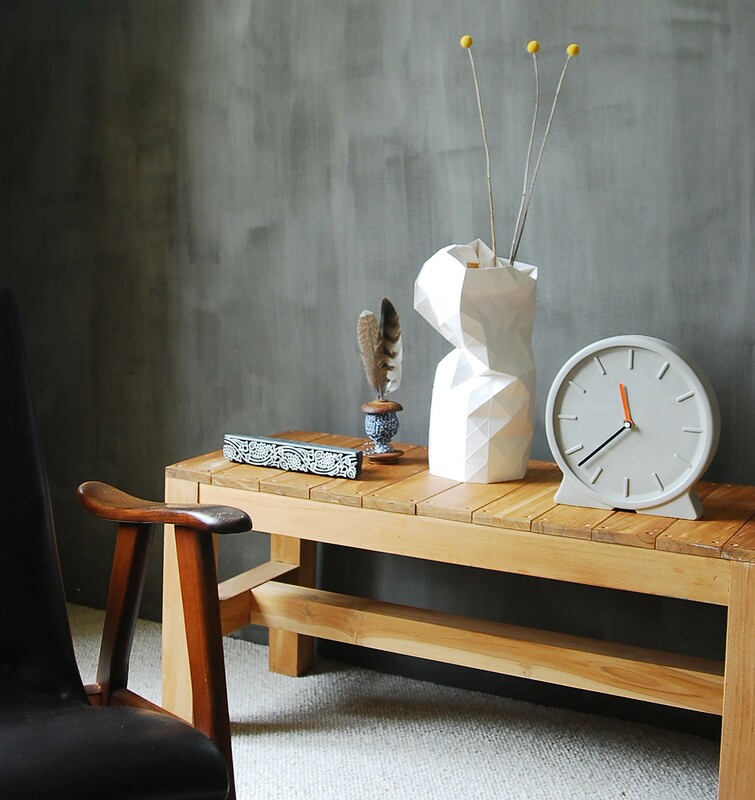 The Concreto clock is a great example of how this material can turn into an aesthetically pleasing and elegant designer object. The pleasant shape and feel of the clock is in contrast its rugged appearance. 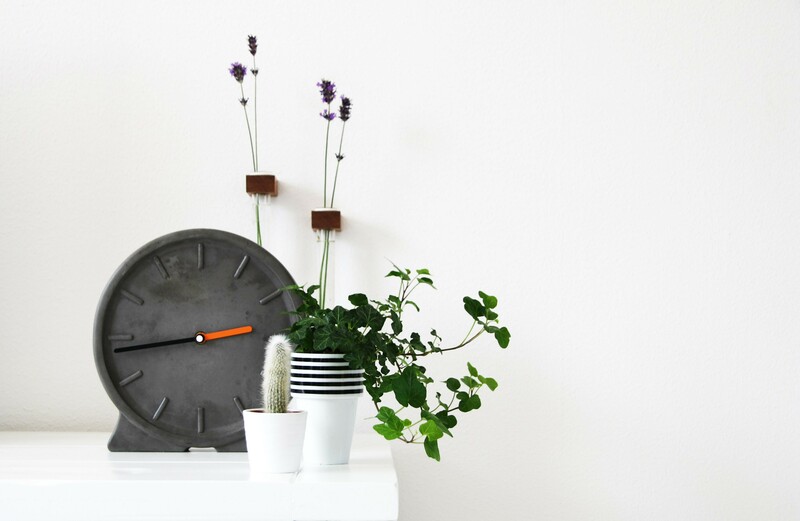 The Concreto clock has a height and width of 25cm and comes with two colored clock hands, so you can alternate between them from time to time. A lot of concrete designs were exhibited during the Dutch Design Week 2015 Concrete is a natural material that gives objects a cool and robust look. This clock does justice to this latest trend, because the clock is completely made out of concrete. Even its feet. Concret is mostly known as a masculine and tough building material. 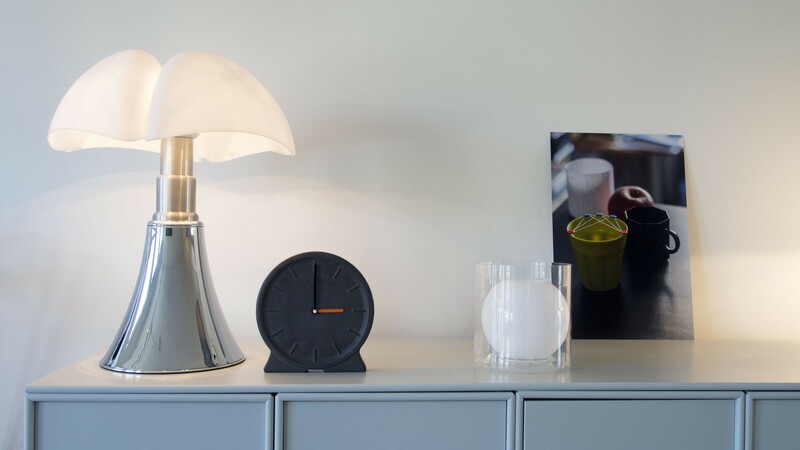 The Concreto clock is a great example of how this material can turn into an aesthetically pleasing and elegant designer object. The pleasant shape and feel of the clock is in contrast with its rugged appearance. The Concreto is available in two variants. Dark grey and light grey concrete. This clock is neither a wall nor digital clock, but rather an analog clock. With two metal clock hands. 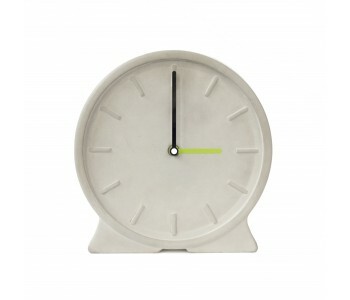 The Concreto clock is nice and large with a height and width of 25cm. The big hand comes in two colors; orange and green. Both colored hands are included, so you are free to alternate between them from time to time. The clock runs on 1 AA battery. A battery is included, so you can immediately start using the clock. 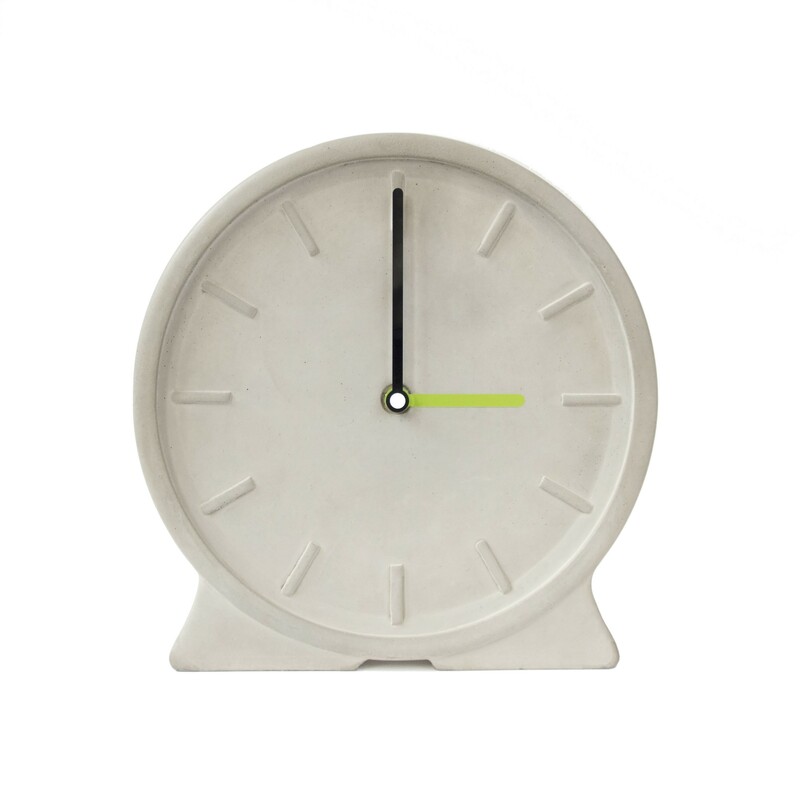 The Concreto clock is handmade of 100% concrete. Concrete is a natural material. Small variations in size, shape and color may occur but at the same time make every clock unique. 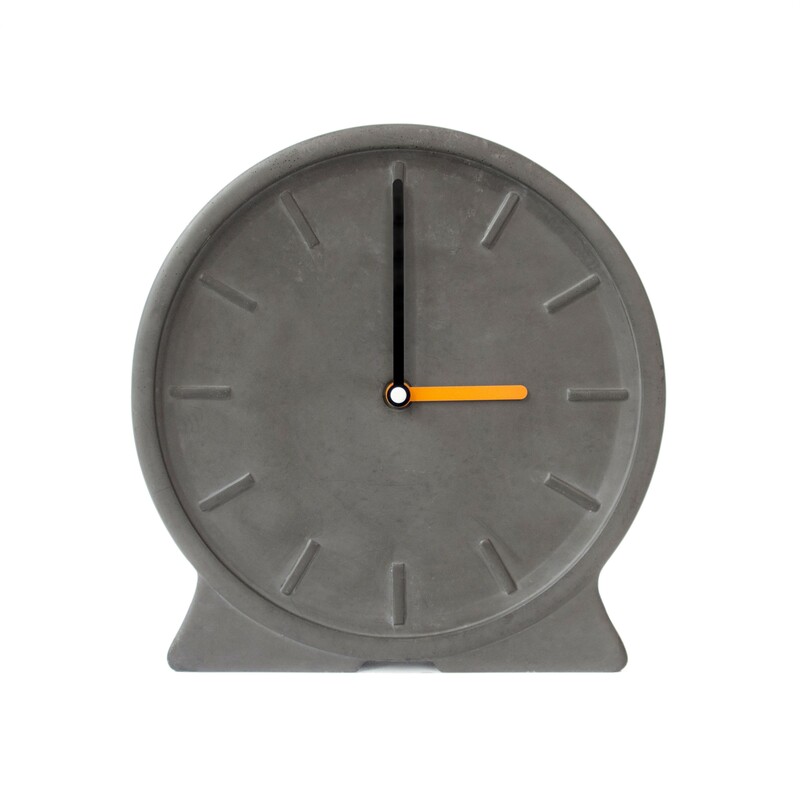 The Concrete clock is available in dark grey and light grey.